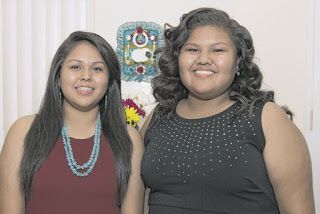 We are so proud of Chenoa and Tanyka Begaye, two recent Chandler-Gilbert Community College graduates for sharing their inspiring story with the East Valley Tribune about how the defied odds to graduate with not one, but two degrees. Click the link below to read the full story. Article via East Valley Tribune.